It’s not always the easiest thing to focus on saving for retirement when you have so many expenses right now. You’ve got kids and a full time job, pets and hobbies, friends and events. That’s all happening now, and retirement seems so far off. You’re making your maximum contributions to your RRSP, though, and that means you have nothing to worry about. An RRSP is a Registered Retirement Savings Plan. 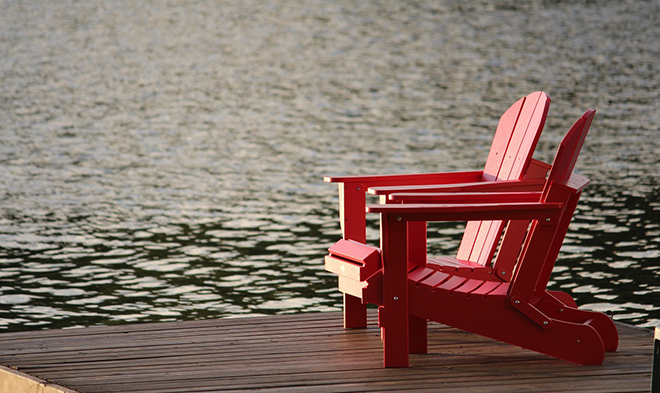 These are accounts that offer tax benefits to motivate Canadians to save for their retirement. You can write off your contributions to your RRSP every year, which will often earn you a sizeable refund on your taxes. Employers often offer to match your contributions, further encouraging individuals to save. A TFSA is a Tax-Free Savings Account. The interest or dividends you earn on this sort of an account will always be tax-free, even if you take it out of your account. 100 years ago, our life expectancy was in the 40s. Now, we have a life expectancy of double that. 81 years is how long the average Canadian is expected to live, meaning your retirement could be pushing 30 years in length. Ask yourself if what you are saving in your RRSPs and TFSAs will amount to enough to pay your own way for thirty years. Very often, Canadians are finding that the answer to that is no. With the massive housing prices across Canada, the rising cost of food, transportation and utilities, your retirement is going to cost you more than it would have just ten or twenty years ago. The retirement savings plans your mom and dad made use of may have done the trick for them, but with the price of everything the way it is in 2017 in Canada, it’s probably not going to work for you. You may have an employer who matches your RRSP contributions now, but that’s not guaranteed to be the case for as long as you work. You might find yourself looking for a job elsewhere, laid off, or maybe the company you work for opts to end its employer-matched contribution plan to save some bucks. You never know what is around the bend and you could find yourself without the added money from your employer. It is for these three main reasons that the old ways of saving for retirement just won’t cut it anymore. The solution is to up the ante. If you want a comfortable, worry-free retirement, you need to start thinking about saving even more than you do now. Look at the actual numbers - can you estimate what it might cost you in retirement to meet your month-to-month expenses? If you can see the ballpark of what it will cost you, you know how much you have to start saving now. If what you need to save seems way out of your league right now, the only answer is to make your money grow. That means investments. You’ll need to find yourself a good financial advisor, someone who comes with great recommendations, and try to get your money working for you. Don’t have money to invest yet? No worries! Get started with a credit building program from Refresh Financial and use the proceeds to start your investing, now! Click here to get started. Do you save for retirement? Let us know in the comments!